This high performance synthetic is a Top Pick for pretty much any adventure you dream up. Could it be love? The Arc'teryx Rho LT Zip is our favorite synthetic base layer earning a Top Pick Award! As an ultra-versatile and cozy base layer, we found ourselves comfortable and happy on outdoor adventures ranging from campfire singing to hiking peaks above 14,000 ft. The fleece interior sits close to the skin generating warmth and thermoregulating over a wide range of temperatures. The face fabric is slippery making it one of the easiest to layer contenders while the Elastine provides impressive stretchiness. If it's cold, put it under a fleece mid layer, or if you anticipate it to be warm outside put a tank top underneath. This is the only baselayer tested that features a handy stash pocket on the shoulder perfect for storing keys or a credit card. While there's a lot of pluses with this piece, it's not perfect. While it has a wide range of thermoregulation, it's warmer than most. A great option for cold weather recreation like backcountry skiing. Though, when temperatures rise, it's not the most ideal. 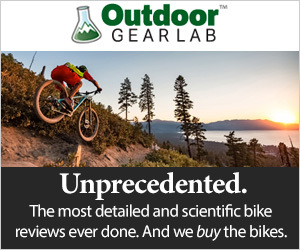 If that's what you plan on doing, we suggest a cooler synthetic like the Patagonia Capilene Crew or the SmartWool Merino 250, a much better thermoregulator. While it's a warmer base layer, it takes home a prize because of its incredible durability, performance, and fantastic versatility. Take it with you on your next big adventure, whatever that might be. Arc'teryx continues to freshen the palette for the Rho LT. Though the sunny yellow hue that we tested is no longer available, the photo above represents a current colorway. The Arc'teryx Rho LT Zip is a warm and cozy synthetic midweight layer that won our love and a Top Pick for Versatility this year. It features a zip collar with a convenient stash pocket and great temperature regulating technology that continues to exceed our expectations year after year. The Rho LT is our Top Pick for Versatility because of its great fit and performance features. From the tops of mountains to the canyons of the desert, this roasty, toasty midweight base layer will keep you warm in frigid conditions. Built with 84% polyester and 16% elastane, it provides a long and tight fit that locks in warmth. The fleece lined interior, and zip-up collar retains heat that will keep you warm and cozy on cold days. It's a perfect layer for backcountry or resort skiing or even running on cooler days. While the face fabric isn't windproof by any means, it cuts the wind to a certain degree. As a result, it's a perfect stand-alone piece that will regulate body temperature on the move and keep you warm while standing still. 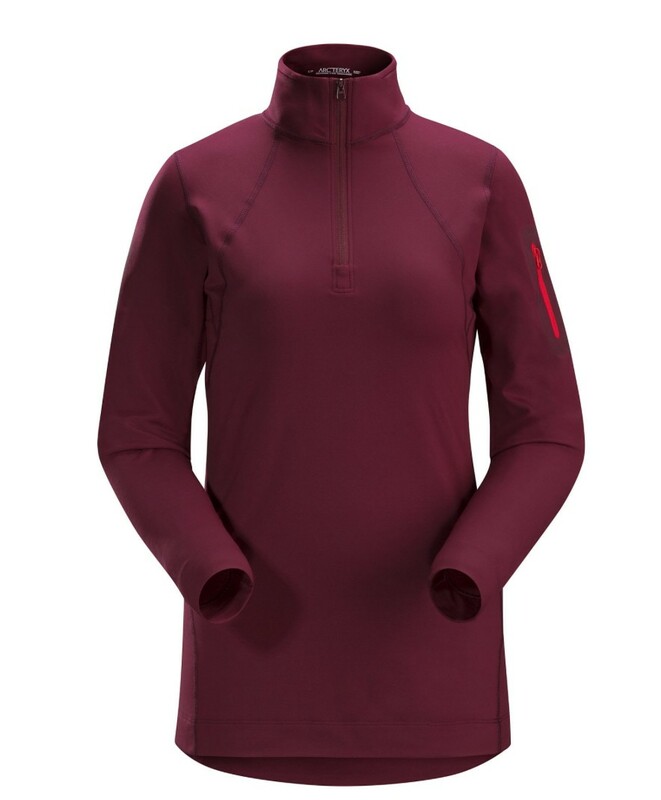 While it's one of our favorite go-to baselayer, there are other warmer options out there. Providing ample warmth in the high mountains of Alaska, we test the warmth of the Rho LT while splitboarding on this eight-mile tour over glaciers and corniced precipices. Overall, this is the warmest synthetic base layer tested and one of the warmest overall. It's perfect as a wear-alone piece during highly aerobic activities in the winter or while engaging in less-aerobic sports during warmer months. Feel free to wear it under a jacket or mid-layer on the coldest days of the year or as a stand-alone piece on warmer days. The fleece-lined interior is cozy and warm providing lots of heat on cold days. That said, this material is thinner allowing decent thermoregulation for the warmth. While warmth is a strong suit for this contender, breathability is not in comparison to other options out. While the fabric is relatively breathable (it is a base layer of course! ), it didn't perform as well as other contenders. It features a zip-up collar that allows the easy release of heat from the body, but even with this feature, it doesn't compensate for the warmth generated by the super cozy fleece that lines the interior of the shirt in addition to the tightly woven fabric. These two construction features make this shirt a little less breathable on warmer days or while breaking a sweat. The fleece lined interior not only provides additional comfort but does an excellent job wicking away moisture from the skin. While running, skiing, rafting, and generally playing in this top, we noticed that moisture easily transfers from the skin to the outside of the fabric. Taking a selfie while on a run through the snowy mountain of Ouray, CO, testing the thermoregulation on this colder trail run after work. While wicking power is great, the fabric itself is tightly woven and the shirt doesn't have additional venting. The tightly woven fabric, in turn, doesn't breath as more porous options. However, it does cut the wind and ultimately contribute better to warmth. All that said, its been our favorite for running in cold weather and skiing when its nippy outside. It functions well on its own (and looks cute too!) or in a layered system. The zip collar allows better venting than a crew-collar, increasing the breathability of this top. Do you love the soft, luxurious feeling of microfleece against your skin? We sure do! The majority of our testers agreed that wearing the Rho LT Zip is like being wrapped in a soft fleece blanket all day long. The Elastine in the fabric makes the fit tight but not claustrophobic while the fleece lining is comfortable. The fit is flattering, providing enough length in both the arms and torso for those with longer limbs. Comfort? Yes! Fit? Fantastic! The shirt is constructed with flat seams that don't itch or abraid the skin while in motion. The material isn't super thin which also adds a touch of comfort. In addition, there are a few stand-out features that include a handy-dandy stash pocket that's perfect to stash a key, credit card, or small iPod. We love the long and close to the skin fit of this base layer. It doesn't ride up and the zip neck allows you to easily dump heat when necessary. While we love the comforts of this top, it doesn't compare to Merino wool that is ridiculously soft and cozy. However, for a synthetic, the fit, stretch, and fabric feel is top notch. Wear it for days in the worst weather out there. The stow-away pocket on the arm is perfect for stashing a key or credit card on a long run or adventure. Featuring a slippery face fabric and a stretchy construct, this top is super easy to layer. Its face fabric is nice and silky smooth that doesn't generate static cling like the wool contenders in this review. What's more is the fabric is thin, and the fit is tight, so it doesn't catch fleecy mid-layers. In addition to being easy to layer over, its simple to add a shirt underneath. The stretchiness of the fabric easily accommodates a little tank top. However, the arms are quite fitted, and a t-shirt with a sleeve may bunch. Overall, this is a super layer-able base layer top. Where this top underneath a jacket on a cool fall day or with a mid-layer during the winter. We like how easy it is to layer over and under other garments. Planning on heading out on the river where you might get a little wet? Have no fear, theRho LT layer is here! In our dryer tests, this layer was the third least absorbent and dried out in 60 minutes. The only base layers that did better include the Patagonia Capilene that took only 40 minutes to dry out, followed by The North Face Warm and REI Co-op Midweight Crew (both at 50 minutes). All these synthetic options dried out significantly faster than Merino wool options. That said, these are perfect options for adventuring through wet weather! The Arc'teryx Rho LT is amazingly durable. After five years of use, our main tester hasn't noticed any thread fly-aways or construction defects. This is after wearing while groveling up wide crack systems and stemming it out in box canyons. Regarding odor, like most synthetic shirts, the odor sticks after a few years of use. During our initial testing period (only three months) we noticed that the "odor-resistant" fabric did a pretty good job, though the odor now lingers after a few years. Arc'teryx, in general, is renowned for its fantastic construction. The craftsmanship of the seams and stitching doesn't compare to other brands. In this regard, this base layer top fits the bill exactly. Even though the initial price is high, so is durability. Use it for many years on a plethora of adventures. While this piece will hold up for years to come, we did find one small stitching fly-away. This is a great and versatile piece that you can take hiking, climbing, or out on the town. Don't be afraid to layer over or under and enjoy it as a base layer or to wear alone. While it performs well for skiing or winter running, we wouldn't recommend it for aerobic sports in the warmer months. That said, it's great to wear on a cool summer night around a campfire or while hiking high into the alpine in the early morning. Here we tackle this 12-mile summit push in the San Juan mountains in mid-summer. This base layer was perfect for the 3 AM start and 12 PM descent. While the price tag of $125 is a little steep, this top offers many performance attributes and durability that you wouldn't be able to find in another shirt (hence the Top Pick Award). Given that it lasted us for over six years, we can attest to the fact that despite the high price, the value is there. You will get what you pay for in this awesome base layer top. This Top Pick is fitted, cute, and durable. Its tight to the skin fit and fleecy inner provides all-day comfort while the stretchy fabric accommodates most body types. Its top-notch craftsmanship and on-skin comfort is above and beyond for a synthetic base layer top. A favorite of our testing team, it will perform well for a range of adventures. The synthetic Rho LT Zip wins our Top Pick for versatility for its great performance in an array of conditions. Amazon $87.50 - 30% off!